Management [John Paul Jones] – Opium (Arts) Ltd. Recorded live December 10th, 2007, O2 Arena, London. A great performance, but can somebody please tell me who plays bass when JPJ is on the keys? Do they pipe in bass on Misty Mountain Hop? The performance was excellent; a must for any Led Zeppelin fan. The only 'draw-back' as far as I'm concerned, they over used the 16 cameras for the Blu-ray. 3 to 4 seconds per clip was a little annoying. I thought it would subside after awhile, but it never did. 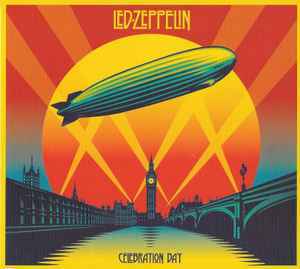 My favorite concert video of all time remains Pink Floyd/Pulse, but Celebration Day is 2nd.